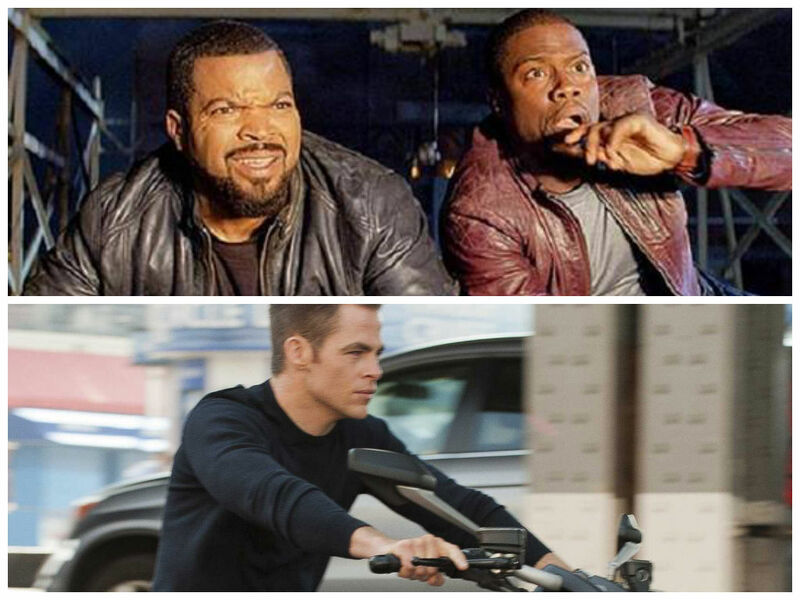 *The Box office should be gearing up to ride along for a big weekend! The Ice Cube–Kevin Hart action comedy Ride Along is expected to take audiences on a comedic adventure as the leading movie at box office this MLK weekend. But Jack Ryan: Shadow Recruit could be its only real competition to take over the number one spot from Long Survivor. Star Trek star Chris Pine will be taking over the role of the super spy played by Alec Baldwin 1990’s The Hunt for Red October ($200 million), Harrison Ford in 1992’s Patriot Games ($178 million) and 1994’s Clear and Present Danger ($215 million), and Ben Affleck 2002’s The Sum of All Fears ($194 million). See, the past films of the series did well around the globe, so maybe the latest could be a threat to the action comedy. In fact, the weekend is packed with four new ride releases — including The Nut Job and Devil’s Due. Analysts say the not-so-buddy-comedy will take the lead with an estimated $30 million opening this weekend while the Pine thriller will make somewhere in the high-teen millions. The animated flick The Nut Job and low-budget horror movie Devil’s Due are both expected to make about $10 million. At least there’s variety this weekend — action comedy, action thriller, animated/family and horror. But Oscar heavyweights might still some shine this weekend, 10-time Academy Award nominated Gravity is returning to theaters as is the eight-time nominated 12 Years a Slave. Previous Article#don’tshootthemessenger: Women, Are You Bold Enough to ‘Please Yourself’ for Money?